This week was perfect for being outside and putting off yard work because if you’re like me “It’s too perfect to mow the lawn and pull weeds. Let’s drink and smoke meats!”. Right? Right. A tall glass of Turner’s T is never far from my reach. You were expecting beer or whiskey eh? I get that a lot. What’s in your glass? 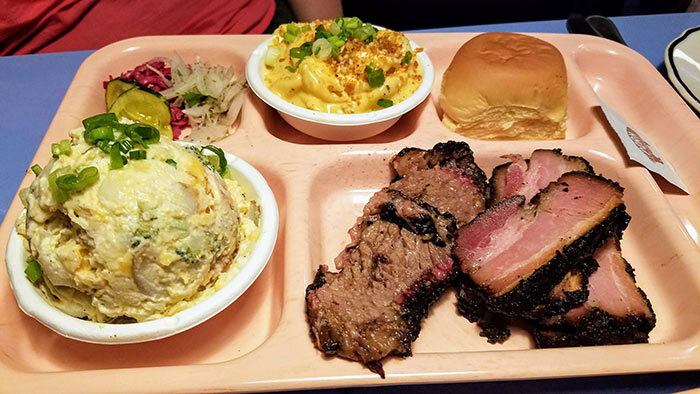 I visited Pork & Beans and Two Brother’s BBQ over the last few weeks. After 12 years of covering craft beer, you’d think this would be easy for food but there are so many variables that play into reviews I’ve enjoyed the challenge putting my thoughts to words. While reviews will become more streamlined as I find a format I dig you can always keep up on where I’m eating via the Instagram page for a quick fix. We’re over 700 followers on Instagram and I’d love to see it hit 1000! Please follow and share with your BBQ friends! More followers = more opportunities which is more sweet BBQ pics for you. If Facebook or Twitter are your thing we’re there also! If I hit the triple crown of all 3 over 1K by end of summer I’ll figure out a saucy contest for everyone! Bring your best to the Steak Cookoff! I’ve never competed in anything food related in my life until now. I can grill a steak but can I be consistent and nail down the perfect steak? Beats me but practicing for it is going to be the tastiest training of my life. You can find the rules here so start firing up your grill and bring it on! Maybe we need a Team Yinz Love BBQ? We’ll work on the name. Do you cook the best steak in your neighborhood? Are you the king of your cul-de-sac? Bring your backyard skills to Grill Your Steak Off at Williams Ace Hardware. The SCA sanctioned event features a $1000 total payout and AN ENTRY TO THE WORLD CHAMPIONSHIP OF STEAK in Fort Worth, TX! Mark your calendar for September 29th and keep watching Yinz Love BBQ for more details! Are you a seasoned vet or backyard hero? The 4th annual Grill Your Ace Off is looking for pro and backyard barbecue teams to compete the last weekend of August! This was one of the first events Teaspoon and I attended last summer and we had a blast (check out the vid here). If you would like more information email spoon@yinzlovebbq.com and I’ll connect you with the organizers. Our Executive Chef, Robert Carter, Is Firing Up The Smoker For His 2nd Annual Summer BBQ Patio Series! Join Us For A Menu Of House-Smoked Selections And Sides! Visit Our Facebook Page For The Weekly Menu Options. Dine In Or Carry Out! Credit Cards And Cash Accepted. Check Back – Weather And Circumstance Permitting.